As the world continues to gawk at the bizarre assassination of his brother Kim Jong-nam, North Korean leader Kim Jong-un has quietly had five security officials blown to bits by anti-aircraft guns. The executions were punishment for making “false reports” to the dictator, a South Korean lawmaker who was briefed by the country’s intelligence service said. All five of the officials were mid-level deputies of Kim Won-hong, the former head of North Korea’s notorious prison camps, who was fired in January. South Korean intelligence agents believe his firing was due to corruption and bad information passed along to Kim Jong-un, who was “enraged” by the screwup. And so, as is often the case when Kim Jong-un gets upset, he decided to kill some people in spectacular fashion. 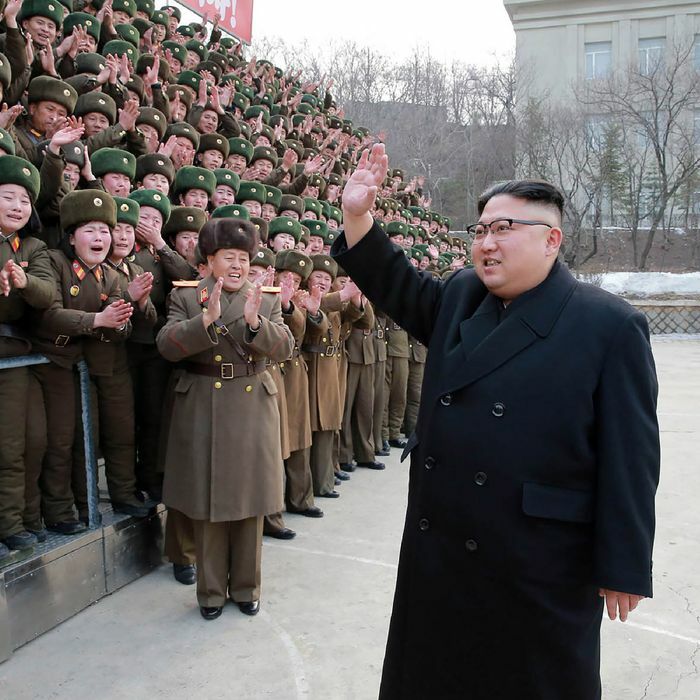 According to one report issued at the end of last year, his five-year reign in Pyongyang has seen more than 340 executions. He appears to be starting 2017 off with a bang.